Update June 8, 2017: Engineering samples for what look like Intel’s 10nm Cannonlake CPUs have just appeared on the leak-happy SiSoft Sandra benchmark database. Six cores and 12 threads of mobile power. Bring it on. Now Intel have got their latest generation out and about we now know for sure what the best CPU for gaming is. With Intel confirming their8th Gen Core processors, code-named Coffee Lake, will be arriving before the end of the year at this year’s Computex show, it’s about time some other engineering samples started popping up. The Cannonlake database entryis referencing the Cannonlake client platform, so we’re pretty confident we are looking at the 10nm part, but the graphics components are actually referred to as Coffee Lake mobile. To throw even more confusion into the situation the platform is noted as desktop by SiSoft despite the clockspeed and GPU looking every inch the mobile spec. 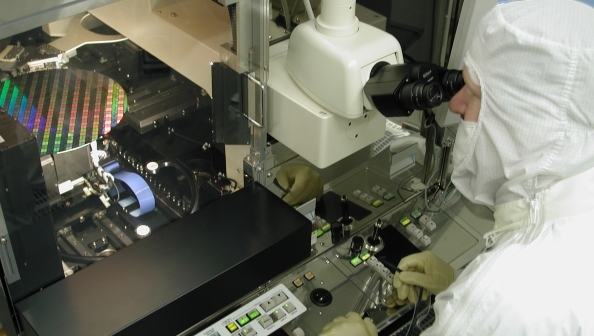 When engineering chips are being tested though, even mobile ones, they’re often dropped into desktop test benches to make sure they’re functioning properly. The six-core, 12-thread Cannonlake CPU in the database has a pretty standard cache design, with 1.5MB of L2 and 9MB of L3 cache (identical to the six-core Coffee Lake chips we’ve seen pop up via SiSoft) and is running at 2.6GHz. Despite that low clockspeed the early Sandra results have the processor arithmetic performance well ahead of a quad-core desktop Kaby Lake chip running at 4.2GHz. The Cannonlake mobile chips are likely to be arriving around the end of the year as part of the 8th Gen Core lineup. Only a few of these lower-powered 10nm chips will be released with the bulk of the range expected to remain as midly updated versions of the 14nm Kaby Lake CPU designs – especially on the desktop. Original story, January 6, 2017: No sooner has the desktop version ofKaby Lakelanded than Intel start showing off their upcoming 10nm Cannonlake CPU design. 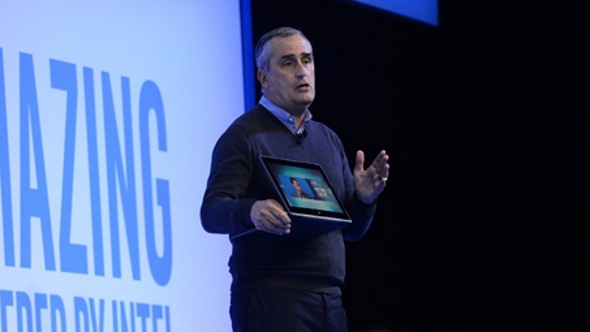 Well, Intel CEO, Brian Krzanich, took to the stage at this year’s CES with a prototype 2-in-1 machine he promised was running a 10nm Cannonlake CPU anyways. He also claimed it as proof positive that Moore’s Law, the doubling of transistor density every two years, is still trucking along. This was the first time Intel had been able to show functioning 10nm Cannonlake silicon running live and untethered on stage and Krzanich promised Intel would be shipping Cannonlake product before the end of 2017. What that means is there’ll be a handful of low-power laptop chips in retail notebooks come Christmas 2017. But what of desktop 10nm? Normally we’d have expected a situation similar to that of the recent Kaby Lake launch, with the high-power notebook and desktop variants arriving early the following year, but it looks like Moore’s Law is going to take a stumble at that end of the market. We’re expecting Intel’s six-core Coffee Lake chips to drop into our desktops in late 2017 / early 2018, using the same 14nm+ production process they’ve been using in Kaby Lake, not the 10nm design Krzanich has been showing off in the Cannonlake prototype. 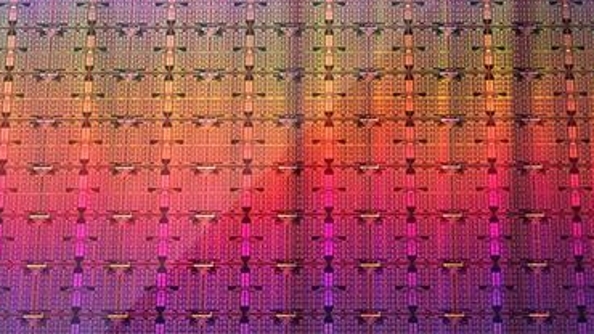 It seems Intel will be saving the first run of 10nm CPU designs the low-power laptops. The journey down to 10nm has not been without its troubles. The release of Intel’s smallest lithography had been delayed from a proposed release this year to the second half of 2017, causing them to slot another CPU generation into the processor production line between Skylake and Cannonlake. And that’s messed up their neat and tidy tick-tock release cadence. 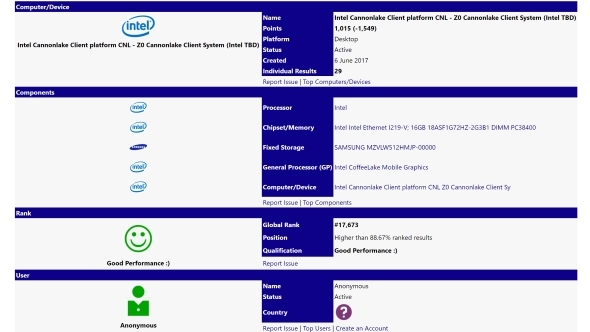 Previously Intel have released their processors alternatively with either a shrink in the production process (tick) or a brand new CPU architecture (tock). Skylake was a tock, taking the short-lived Broadwell 14nm lithography and introducing a new architecture, and next year’s Cannonlake will be the tick shrink of the Skylake tech down to 10nm. Except because of the technical challenges surrounding creating such miniscule transistors, poor chip yields, and because physics really doesn’t like shoving energy through such tiny physical gates, Intel needed more time to mature their 10nm tech. That means the tick-tock model now has a stutter, and that stutter is called Kaby Lake – a modest evolution of the Skylake architecture on the same 14nm process. Fingers crossed though Kaby Lake will be similar to the Devil’s Canyon chips which filled out the Haswell CPU lineup as Broadwell was ever more delayed. Those were some high clockspeed, insanely-overclockable processors, mostly because Intel had gotten so damned good at making reliable, robust 22nm parts. Cannonlake will reportedly use the same LGA 1151 socket as Skylake (and Kaby Lake) and run on the 200-series motherboard chipset which is set to be introduced later this year along with the Kaby Lake processors. And beyond that? Well, the upcoming 10nm parts are likely to be the last which use Intel’s Tri-Gate transistor tech (the progenitor of the FinFET designs now used in the top GPUs). Back in 2012, at another IDF, Mark Bohr explained to us his engineers were looking at new ideas for getting their lithography down to the 7nm and 5nm levels – “some exotic” – but was confident of getting to that level.